January might be a time for new resolutions, but it's also the month that traditionally has the best sales for bedding, linens and towels. So today, we're sharing sharing our favorite sources for these items. Bonus tip: One of our favorite things to do when we're purchasing for an entire house is to stick with white sheets and towels. That makes it easier to keep the sheets and towels stocked in each room. You don't have to try to remember which colors go with which rooms and everything can be bleached if it gets dirty or dingy. We tend to do different towels and sheets in the master to keep it a little special. We received Pottery Barn sheets for our wedding years ago and they have become my absolute go to. Soft, tight to the bed and hold their shape. Boll & Branch sheets live up to the good reputation they built up early on. The best part is the deep pockets so they fit regardless of the depth of mattress. 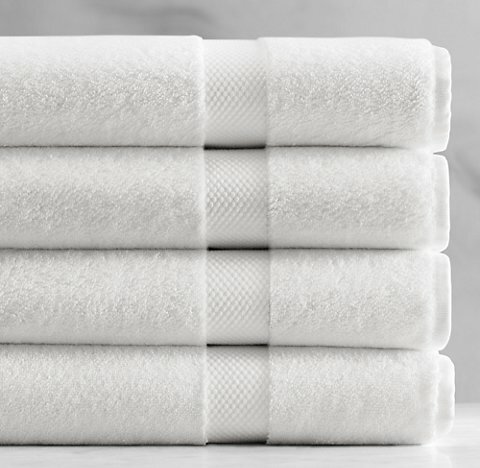 Restoration Hardware towels not only look good, but they can withstand a beating. We love their muted colors and they never appear to fade, even after multiple years of washings. 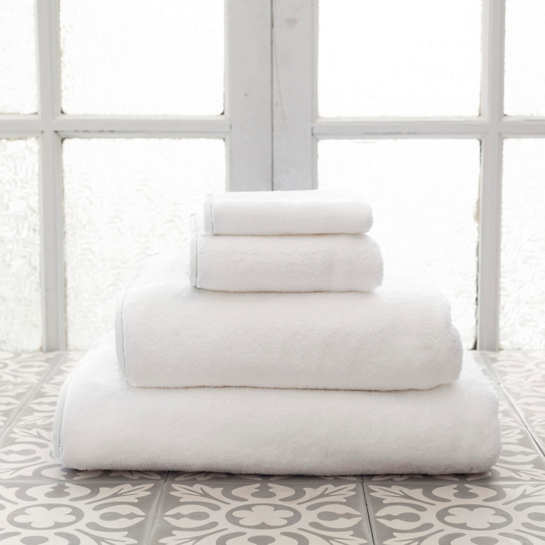 Annie Selke has several lines that offer linens and towels. These are from Pine Cone Hill, and there are several options, including a whole range of color accents. A great option for a white towel with just a touch of personality. A great way to give you space a little refresh is with new bedding. I just ordered this new duvet and shams for our bedroom. Because...buffalo check. If you're looking for the bedding in the picture above, it's the Williams Sonoma Washed Linen Border Bedding coral. One of our favorites!